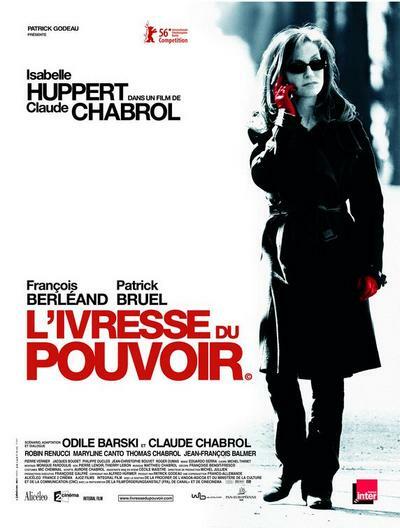 AMG: Claude Chabrol’s Comedy of Power stars Isabelle Huppert as a French judge who attempts to bring down the very powerful but corrupt CEO of a large corporation. As she digs deeper into the case, she uncovers criminal activity that stretches into the highest levels of government, and her life is turned upside down by death threats as well as her sudden celebrity. The film follows as her career affects her family. Loosely based on real events, Comedy of Power had its North American debut at the 2006 Tribeca Film Festival. The premise of Comedy of Power sounds familiar from a thousand legal thrillers, but with Claude Chabrol’s modest yet quietly captivating execution and his frequent collaborator Isabelle Huppert starring as witty tough-as-nails judge Jeanne Charmant-Killman, the film becomes a cynically astute deconstruction of modern corporate and political corruption and the crude tactics employed by CEOs to keep their men’s club boardrooms intact. The sexual politics and judicial maneuvering, though unique to France, are broadly understandable and relatable enough to appeal to a non-Francophile audience, and the unobtrusive camera setup and dialogue-heavy storytelling are reminiscent of television crime dramas. The comedy of the titles comes from a raised-eyebrow take on the vanity of authority figures, expressed in the outlook of Charmant’s nephew Felix (Thomas Chabrol), whose sedentary lifestyle means he has to respect little power. However, the consequences of a leader’s actions are depicted as very real, from the personal devastation that results when Charmant jails Humeau (François Berléand) to the larger implications of corporate malfeasance and political machinations. The extreme pressures put on Charmant takes a toll on those around her, but she never loses her cool or sacrifices her snappy fashion sense and Chabrol questions whether this is due to her well-known “piranha” tenacity or a fault of her professional vanity. 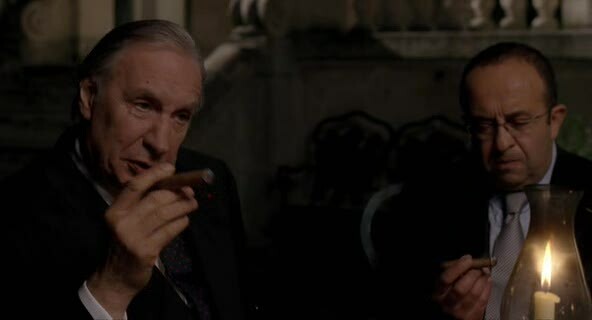 If the ending, in which the forces of ultimate power remain unscathed, is predictable at least Charmant’s final line, a succinct putdown of untamable corruption, has more than enough tart resonance to make up for it.